BradyGames have announced that they are releasing the Batman: Arkham City Signature Series strategy guide which will be available October 21st! Join the Dark Knight as he soars into Arkham City, the new home for all of Gotham City's thugs. The sequel to Arkham Asylum brings together an all-star cast of heroes and villains. 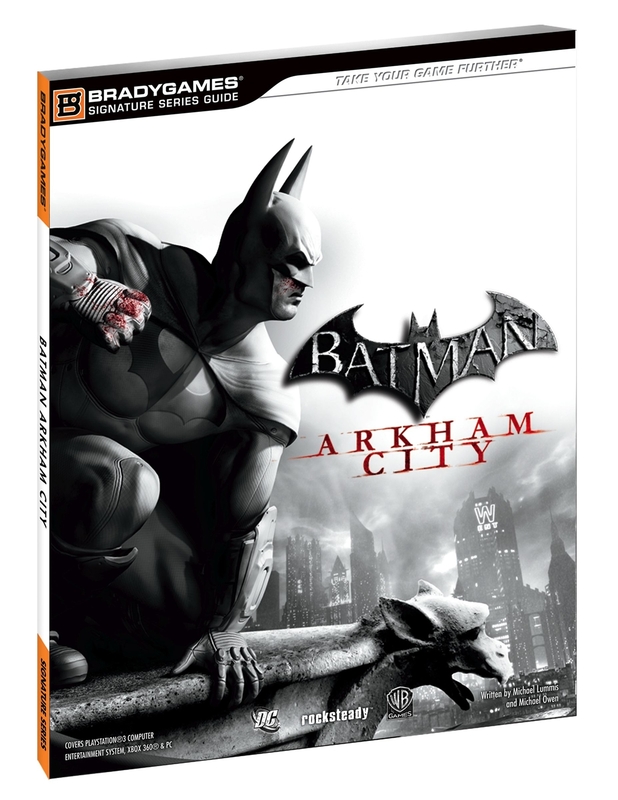 Building on the intense, atmospheric foundation of Batman: Arkham Asylum, Arkham City sends players soaring in to the maximum security home of Gotham City’s thugs and criminal masterminds. The strategy guide provides walkthrough chapters helping you subdue villains, deploy gadgets for maximum effect and lets you view area maps littered with item locations. The Signature Series has an RRP of £12.99 and the Limited Edition hard cover has an RRP of £19.99.